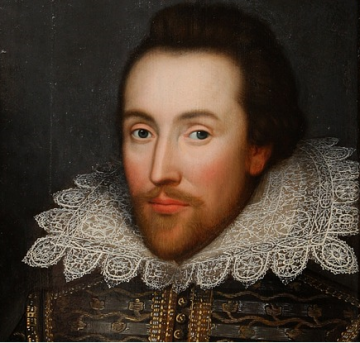 William Shakespeare is regarded as the greatest dramatist that the world has ever seen. He was not just a playwright but was also a poet and an actor. He was born in Stratford-upon-Avon in 1564 and he died in 1616. He is also the best-selling fiction author of all times as he has over 4 billion copies sold. He also had a flair for writing tragedies and one of his most famous tragedy plays is Macbeth. Macbeth is also more fully known as the tragedy of Macbeth and was performed for an audience in 1606. The main aim of this tragedy play is to convey the dangerous psychological and physical effects that one would have to suffer if one uses political ambitions to achieve power for oneself. This play was written during the reign of James I and this play also shows the kind of relationship that existed between William Shakespeare and the sovereign at that time. This play was first published in 1623 in the Folio. This is also the shortest tragedy which was written by William Shakespeare. In this essay writing piece, readers will be able to learn about the literary analysis of Macbeth. In this essay writing piece, first there will be a discussion and summarization of the plot and then there will be a Macbeth character analysis. In this section, readers will be able to learn about a thorough Macbeth analysis of the plot. In this essay writing piece, the literary analysis is divided into sections of Acts for the ease of the readers. The play starts on a Scottish Moorland in which Banquo and Macbeth discover three strange women. These women are witches who prophesy that Macbeth will be promoted twice in his life. First, he will be promoted to the rank of Thane of Cawdor and the next promotion will make him the King of Scotland. Banquo, on the other hand, is told that his descendants will be king but he is not promised the throne. Both the generals wish to ask the three witches more questions but they are unable to do so as the witches disappear. Soon, Macbeth is promoted to the rank of Thane of Cawdor due to the success he has achieved in the recent battles. This prompts Macbeth in believing that the prophecy might be true. The king further proposes to visit Macbeth’s castle. Macbeth tells this news to his wife who vows to help Macbeth by taking any steps to ensure that he becomes King. This is an important point in the Macbeth analysis. The Macbeths plot to kill the king and wait untill everyone was asleep. When the time comes, Lady Macbeth drugs the guards and reassures Macbeth in killing the king. They leave the dagger right next to the king and soon a nobleman enters. Macbeth kills a guard to show his retribution and rage on ‘finding’ the dead king. Duncan’s sons also try to flee the kingdom but are captured and blamed for the murder. In the Macbeth analysis, the act three begins with Macbeth as the king who has now become very insecure. He further remembers the second part of the prophecy in which the three witches stated that Banquo’s descendants will take the throne eventually. To avoid this Macbeth plans to kill Banquo and his sons. Macbeth is successful in murdering Banquo but his sons escape. Later that night, Macbeth worries the courtiers with his mad responses which are caused after seeing the ghost of Banquo. Lady Macbeth dismisses the court and tries to calm her husband. The fourth scene of Macbeth analysis begins when Macbeth goes to seek out the three witches. The three witches prophecies again that Macbeth is safe until Birnam Wood marches against them. They further say that Macbeth does not need to fear anyone who was born of a woman and that Banquo’s sons will still have the throne in the future. This disturbs Macbeth and prompts him to go on a reign of terror. Pained by grief Malcolm decides to lead an army against Macbeth. In this last act of Macbeth analysis, Macbeth feels safe in his remote caste when he is told that Birnam Wood is marching against him. The army is marching swiftly meanwhile a guilt-ridden lady Macbeth commits suicide. When the final battle begins, Macbeth hears about Lady Macbeth and mourns her loss. Macduff is the child of caesarian birth and the challenges Macbeth. Macbeth submits and dies. Malcolm declares peace and goes to be crowned the king. To learn more about the plot the readers can also refer to other essay writing pieces. In this section of the essay writing piece, the focus will be on the Macbeth character analysis. The analysis of the different characters is mentioned below. The Macbeth analysis is also mentioned below. Macbeth was a Scottish general who was promoted to the position of Thane of Cawdor. He was a brave and powerful man but unfortunately, he was not a virtuous one. He was extremely ambitious and was easily tempted by power. He committed murders and a number of other crimes to get the throne. His crimes only increased in frequency and intensity. He proved to be an unfit ruler who was always prone to becoming a tyrant. He further responded to all his problems with violence and murder. He was also easily swayed by his wife on a number of occasions. There are also many other essay writing pieces which are written on this topic. Lady Macbeth was Macbeth’s wife. She was a deeply ambitious woman who lusted for power and position. She was extremely ruthless and misguided in her approach in taking power. She almost pushed Macbeth in taking the crown and killing the king. She was also the one who urged her husband and was also responsible for the bloodshed. She experienced tremendous guilt over the acts she committed which also eventually lead her to the doors of madness. She was so guilt-ridden that she eventually committed suicide. In the play, Lady Macbeth and Macbeth are also presented as a couple who are deeply in love. Banquo was also a Scottish general who was also ambitious and wanted power. But unlike the Macbeths he was not overly ambitious and was not ready to commit any sort of crime to get that power. Banquo’s character can also be considered as a type of rebuke to Macbeth’s character. Banquo also did not let ambition take him on a path of murder and betrayal. Macbeth was written by William Shakespeare who was a great dramatist. Macbeth is one of the shortest tragedy plays of William Shakespeare and it was first performed in front of an audience in 1606. This tragedy play was aptly able to describe the consequences which an individual can face if he or she lets ambition madly control all his or her thoughts and actions. This essay writing piece can also be considered as a type of Macbeth analysis. Readers can also find information about the Macbeth character analysis in this academic writing piece.